~ If you are interested in hearing about the city's plan to make one-way streets out of sections of Primrose and Ivy, the city will explain at a block party on Saturday, June 30 at 10 a.m., on the 100 block of East Fig Avenue, just off Ivy Avenue. 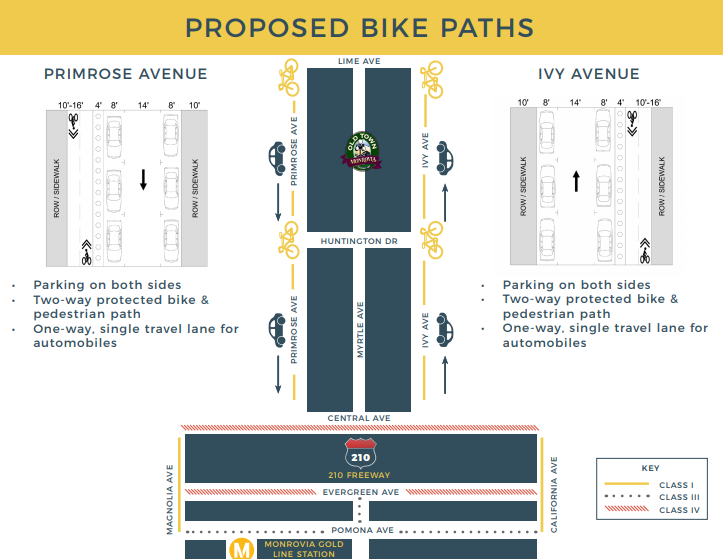 The idea of one-way-streeting Primrose and Ivy between Lime and the 210 Freeway is to make room for physically separated bicycle lanes, in an effort to connect Old Town with the train station. ~ Chi writes that the city has learned that its "GoMonrovia partnership program is officially the biggest partnership program that has been developed by Lyft. Ever!" 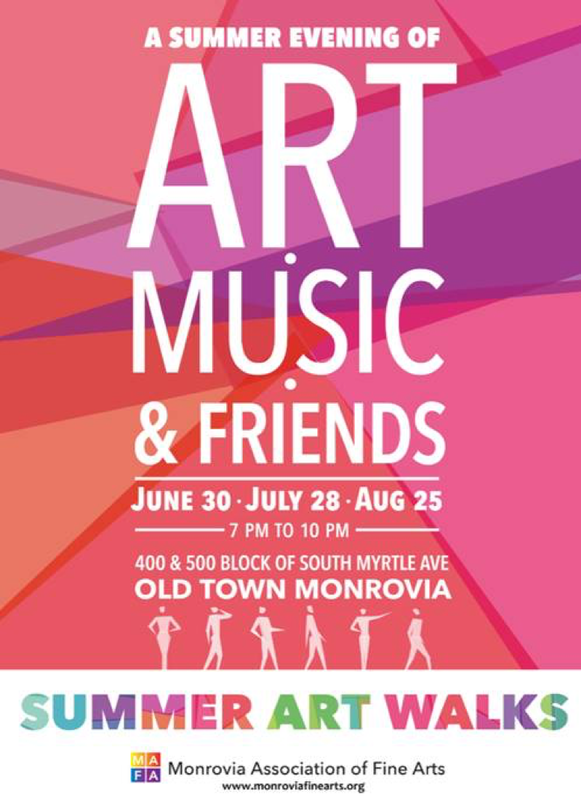 He adds: "In total, over 7,000 people have signed up for the GoMonrovia program through Lyft, and the participation rate has both stunned and delighted Lyft, who are using Monrovia as a model for how to engage effective mobility partnerships!" 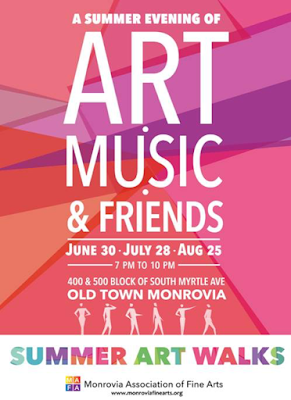 ~ Monrovia Association of Fine Arts will host Art Walks along the sidewalk in the 400 block of South Myrtle on the last Saturday evening of June (on June 30), July (on July 28), and August (on August 25).